Maria's Space: How Often Should You Send Emails? 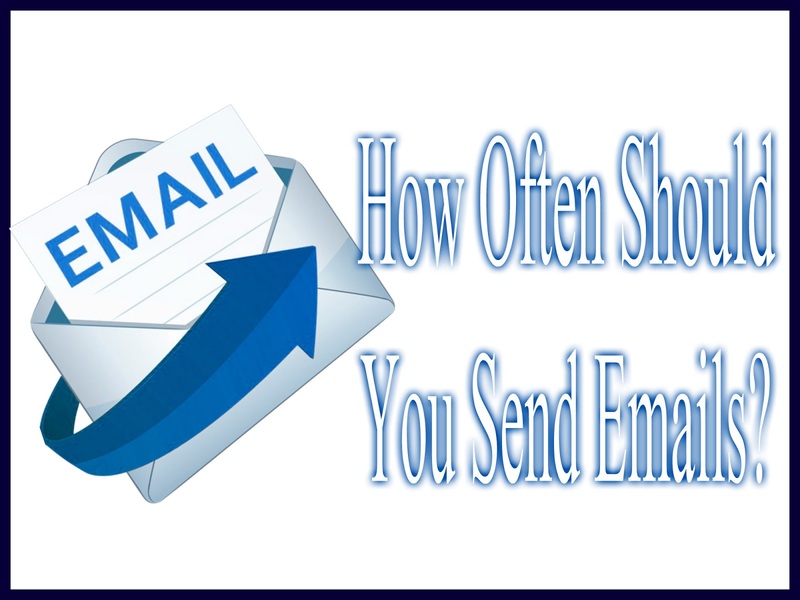 The number of emails that are being sent every day has increased steadily over the past years. There was a time when people did not think much about emails. They thought that this was something that people would forget after some time. It turns out that this is one of the things that email marketers are using now if they want more people to become familiar with the things that they are offering. Now that you are an email marketer, you want to know the latest information about when you should send emails to your subscribers. There is such a thing as sending too often. If you send a lot of emails in a short amount of time, your subscribers may just delete your email the moment that they see it. Some of them will even block you from sending any more emails. Do you want to gain more information on how often you should send emails to your subscribers? There is something you should know: there is no definite answer to this. It may change depending on what your business is promoting or what you are selling. If in case you need more help, you can always gain more details from here. Emma is a website that all marketers should check. It may provide the information that you need. l You should become more aware of what your subscribers want. What do your subscribers want? Do they feel that you are sending too many or too few emails? You can learn more when you ask them to answer a very short quiz or survey. Some of your subscribers will be more than willing to provide the details that you need. l Keep an eye on what your competitors are doing. The frequency that your competitors are doing is probably the standard one that you can also do. You can also check what marketing influencers are doing in order to get more information. l You can check your analytics from time to time. You have to know if the things that you are doing are working or not. If they are not working, you can make the necessary changes. Sending emails can be tricky. If you send too little, people may not remember that your brand exists. If you send too many emails, then people will block you from their list. Segment your subscribers too so you can send accordingly.